More than ever, choosing a cycling holiday can help bring about positive change in the world. Organic and bio-dynamic wine making in Sovana. 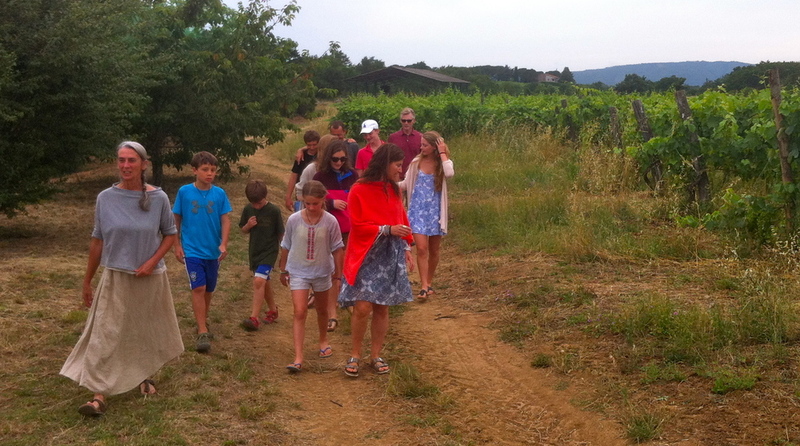 Come and see the winery and vineyards on our 3 Regions BIO-Cycle tour! Organic family operated farms, restaurants, and wineries form a critical role on every Broken Compass tour as we believe a healthy mind and body starts here with the proper consumption of local products from reliable sources. Consumption of local food and produce on our tours is of upmost importance as it is a way reduce our negative impact on the environment by breaking the long distance supply chain. In addition, we are actively supporting those who strive to continue producing such wonderful products. Besides, food always tastes better from the source! We choose energy efficient support vehicles with low emissions and keep the driving to the absolute minimum on every tour. We discourage the use of single-use plastic water bottles during our tours and will supply you with refillable and biodegradable options. We adhere to strict recycling guidelines in the office and while on every tour. For the items that can't be recycled like torn tires and tubes, we strive to have them "upcycled" by passing them on to local artisans that transform them into useful items such as billfolds, purses, and jewelry.